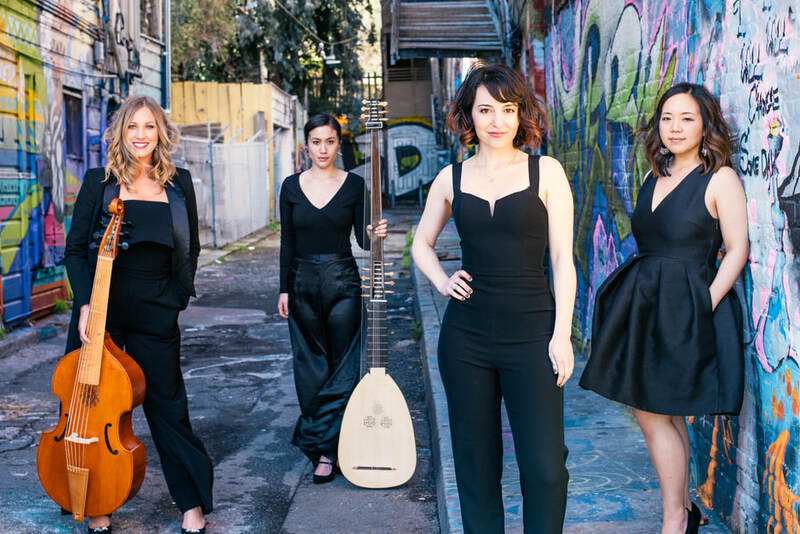 Leading up to Helia & Liaison Ensemble's October 27th concert, ​Early Music Meets New, we'll be posting interviews with our collaborators to offer you a sneak-peak into their lives, their musical process, and their inspiration. Read on to learn more! Meet Liaison Ensemble! On October 27, 2018, Liaison will be giving the world-premiere of four brand-new pieces for mezzo-soprano and Baroque ensemble. Learn about their background, their ensemble, and fun facts about their lives. Tell us about Liaison - how did you meet? When and how was Liaison born? Liaison was originally formed in 2011 by two of our current members, Susie & Hallie, along with a soprano (Anne-Kathryn Olsen) and soprano (Danielle Sampson), while we were all students at SFCM. The concept of Liaison was founded on our desire to bring historically informed performance and early music to a wider audience and to non-traditional venues, in order to reach more diverse listeners. Some of this effort also involved experimenting with crossover genres using our early instruments and styles. Over the years, after the two original singers moved out of the Bay Area, we evolved into our current ensemble membership in 2016. With the addition of Melinda and Tatiana, who were also fellow students at SFCM, our group’s focus has shifted into incorporating even more crossover collaboration and celebrating the common thread between early music and many other genres including jazz, world music, and new music. Tell us a little about yourself - where you’re currently based, your musical journey so far, where you think you’re going. I'm from Singapore, and now live in Atlanta, GA. I am the eldest of 4 siblings, the only girl, and also the only musician in the family. I started learning the piano when I was 6, but absolutely hated it. I started learning the double bass when I was 14, and played in my school's Chinese Orchestra through high school. I wanted to be an orchestral bassist, but playing the same old music again became boring to me, so I started transcribing music for the bass and composing my own music. I completed my Ph.D. in Composition and Music Theory at Brandeis University in 2017, and currently teach at the University of Georgia in Athens, GA. Currently I’m based in the Bay Area. I was born and bred in a small city in Taiwan. After finishing my studies in Taiwan, I came to the US in 2011 to pursue my PhD at UC Berkeley and have lived in the Bay Area ever since. Recently, I just got my PhD and will move forward to the next journey soon. What inspires your music? Describe your voice. In recent years, I’ve been fascinated with the world of timbre [the character or quality of a musical sound or voice as distinct from its pitch and intensity]. I am interested in combining my imagination with music by transforming the ideas, images, or emotions I’ve perceived in my life into different sonic gestures and timbral materials, thus shaping a colorful and imaginative world in my music. My music can be inspired by my life or travel experiences, or some images/paintings/poems that touch me. Leading up to Helia Music & Siroko Duo's March 25th concert, ​Re:Ignite, we'll be posting interviews with our collaborators to offer you a sneak-peak into their lives, their musical process, and their inspiration. Read on to learn more! 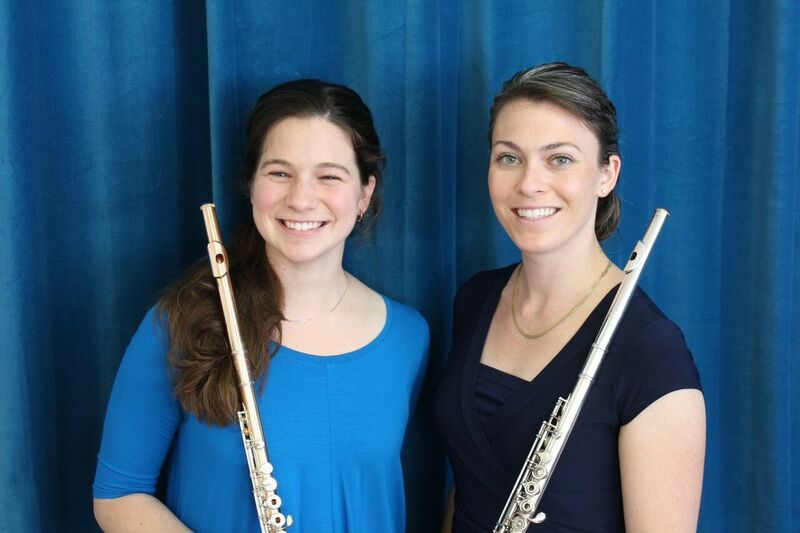 Meet Siroko Duo's Jessie Nucho and Victoria "Tori" Hauk! On March 25, 2017, Jessie and Tori will perform an entire program written by living women composers, including two world premieres. Find out about the origins of Siroko, their creative process, and fun facts about their lives. Tell us about the origins of Siroko Duo. Tori: We met during our graduate studies at the San Francisco Conservatory of Music. We first started playing together when Kyle Randall asked us to perform his duet, Tarantella, in May of 2015. The experience made us realize how much we enjoyed working and performing together. The following summer we completed a recording project with Kyle, playing his Tarantella and Lucas Floyd’s Chase Study. I think it was that recording project that sparked the idea of Siroko Duo. The following November, we performed our debut concert as Siroko! Meet Izabel Austin! On March 25, 2017, Siroko will perform her work The Speed of Darkness for two flutes. 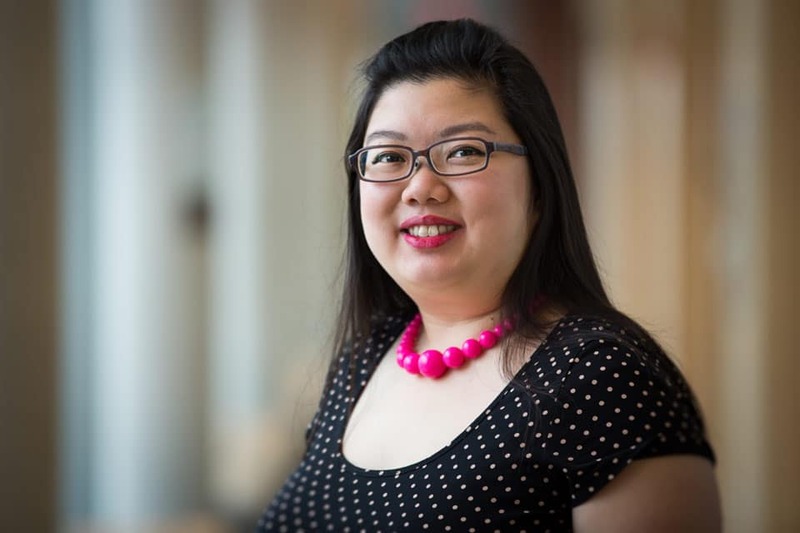 Find out about her background, her piece, and fun facts about her life. Tell us a little about yourself - where you’re currently based, your musical journey so far, and where you think you’re going. 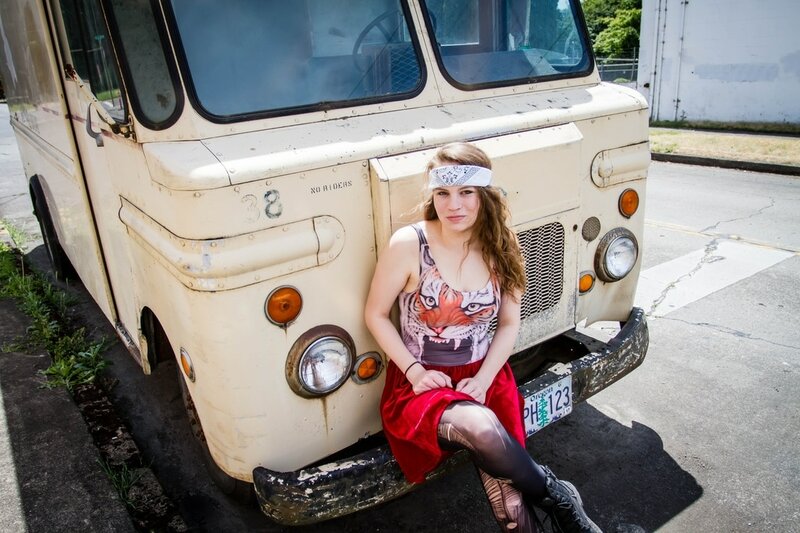 I'm currently based in Eugene, OR and recently graduated from University of Oregon with a B.M. in Music Composition and Violin Performance. I've played and loved music my whole life but didn't think of it as a career option until my last year of high school (I actually applied to most colleges as an English/Creative Writing major). I had a difficult time when I first started music school, as I was far more inexperienced than most of my peers who had lived and breathed classical music from a young age, but I worked as hard as I could and ended up finding that my somewhat unconventional background actually gave me an edge in some areas. I have tentative plans to go to LA to do some film scoring work in the near future. Other than that I'm not entirely certain where my next adventure will take me, but for the moment I'm enjoying the feeling of all potential paths being open to me.